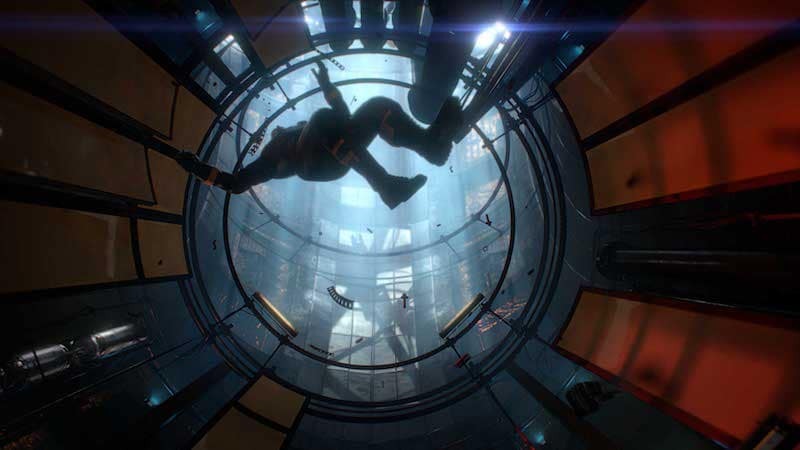 Prey’s title isn’t the only thing about it that feels familiar. As we stated in our first impressions of the demo, the gameplay is reminiscent of the likes System Shock and Deus Ex. Throw in a slew of scares kudos to the Typhon — an alien race that’s out to assimilate all human life— and it had us thinking of sci-fi horror classic Dead Space. That’s not a bad thing though – Prey draws inspiration from a lot of sources, and it’s better for it. The game’s premise is a result of a universe where John F Kennedy wasn’t assassinated, and the US put more effort into its space program. It takes place in 2032, aboard the Talos I – a sprawling space station orbiting the moon – as you take on the role of a scientist named Morgan Yu. You quickly realise you’ve been reliving the same day over and over again, as the result of an experiment gone wrong. Worse still, the Typhon have overrun the station, and it’s up to you to stop them, as well as discover your past. Along the way, you’ll discover neuromods. These restructure the human brain, allowing for superhuman abilities. The early mods you get are fairly simple – they’ll increase your health, or your hacking skills. But as you progress, you’ll find over the top options such as being able to cobble together allies from corpses, create decoys of yourself while shifting behind your target, or taking the form of physical objects around you to get to hard to reach areas, or to hide from foes. The sheer number of powers and abilities at our disposal in the game brought back memories of the excellent first-person stealth adventures, Dishonored and Dishonored 2, which is no surprise since Prey is developed by the same studio, Arkane. Apart from this, you also have a number of weapons that can be used. This starts with a humble wrench, and goes up to the the Q-Bream, or TS-QPB-S11, which obliterates everything in sight. There’s a lot of variety, but for the most part though we stuck to the shotgun and silenced pistol. 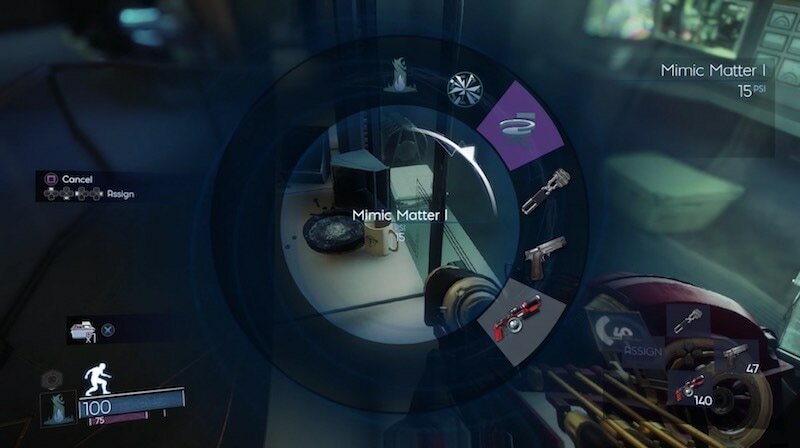 More exotic choices such as the Recycler Charge – which lets you create mini blackholes, and turns foes into materials that you can craft into items like ammo and health packs – were reserved for tougher fire fights. At the same time, stealth is also a viable option in the game. Aside from upgrading your sneaking abilities with neuromods, the game throws in Typhon Lure, a device that attracts your alien enemies. It’s useful to distract them, allowing you to simply sneak past. Prey’s controls are familiar enough if you’ve played any major AAA shooter in recent memory. The right trigger takes care of shooting, the circle button let’s you crouch and so on. The controls are slick, and the gunplay feels satisfying, particularly the shotgun. Accessing abilities is a cinch, as you can assign them to the left trigger. The controls are accessible without much of a learning curve, which is good as you can focus on dealing with the dangers aboard the Talos I, such as the many Typhon infesting the space station. There are a lot of different types of enemies you’ll have to deal with in Prey. From shape-shifting arachnid-like Mimics, to psychically controlling telepaths that look like rejected monster designs from Persona 5, you’ll come across a lot of different enemies lurking around the Talos I, getting between you and your objectives. As you explore the Talos I, you’ll visit dilapidated offices, cold, dark server rooms, and engineering labs. The various spaces all have a lived-in feel to them. You’ll find computers to rummage through for emails, maps, and schematics,and there are audiologs that help you piece together what happened. New abilities also open up pathways in old locations, allowing you to access more areas over time and there’s the occasional jaunt into space, both help the Talos I’s locations to stay fresh. 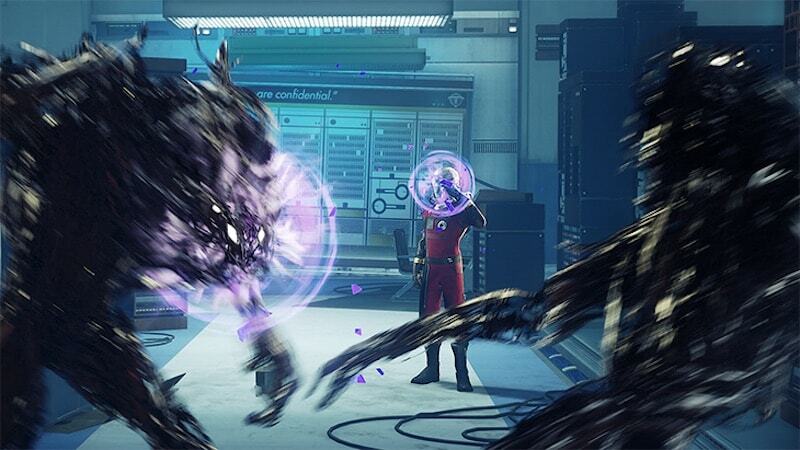 The one complaint we have with Prey is its over-reliance on jump scares – a thing that’s also often used in horror movies – where your enemies will abruptly jump out of nowhere, often with blaring music as well. This is particularly common with the Mimics, who hide in place sight, taking the shape of an item like a cup in an office. Jump scares occur way too often for our liking in Prey, wearing out their welcome in the first couple of hours, and they continue to be annoying well after that. Prey does make up for this to some extent with its visual design. There are some similarities to the art-deco aesthetic seen in BioShock, but it works just as well here. Some things are particularly eye-catching, such as the fabricator, which is a giant machine that lets you turn materials into weapons or items that seem right out of the Jetsons. From a technical standpoint, Prey does a good job. The frame rate holds up well on the PS4 Pro, the graphics are consistent with no texture pop-in, and the game loads in a reasonable amount of time, without any stutter in play. Considering that it’s using the CryEngine instead of Arkane’s own tech, it’s surprisingly well optimised. That’s a pleasant surprise, considering the issues we saw on consoles with Sniper Ghost Warrior 3, which also runs on the same engine. None of Prey’s elements stand out on their own, but they work well in cohesion. Progressing through the story was a treat. Without spoiling much, there are a fair number of plot twists that keep you engaged. This is backed up with slick controls, responsive gunplay, cool neuromods, and stellar level design. Clocking in at around 20 hours, Prey is well worth checking out even if you’re not a fan of horror or sci-fi. It might not be wholly original, but that doesn’t make it any less fun. We played an early retail copy of Prey on the PS4 Pro. The game will be available from May 5 on the PC at Rs. 2,999 and is Rs. 3,999 on the PS4 and Xbox One ($60 in the US).